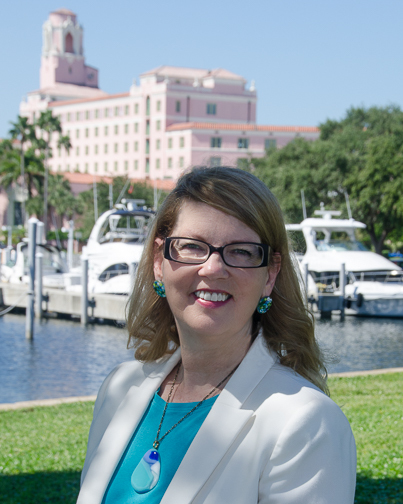 It is my pleasure to have Cheryl Hollon as my guest today. Cheryl you started out designing and building flight simulators. How did you make the jump from that, to where you are today? Please describe your journey to writing. According to my sister, I’ve always been a storyteller. In 6th Grade, my English teacher assigned us to write an essay on the back of each week’s punctuation quiz – instead, I wrote a poem. She predicted that I would be a writer. But my driving interests were math and science, so instead I became an engineer and found a rewarding career in military flight simulation. A lot of travel was part of the job and I started writing more poems, a lot of short stories, and then finally I starting tackling mystery novels. Tell us how you got started working with glass. My husband George, a retired chemistry engineer, and I have an artistic side and began making handcrafted presents for our children and family years ago. Our interests hopped around from painting, drawing, woodworking, and then George signed up for a stained glass class. It was love at first site for us both. It’s been over twenty years now, and we’re still trying new things. Our latest project was to create an etched crystal book of the cover for Pane and Suffering. We sent it to Kensington for a giveaway promotion that ends just before release day. It was devilish tricky, but we love the result. According to your bio you have a studio behind your house. Do you sell from your studio or is there a specific shop you sell your work through? We still supply a few items for sale with our local store, Grand Central Stained Glass, the inspiration for Webb’s Glass Shop. Nowadays, we make gifts and experiment with whatever pleases us. I’m busy creating glass earrings to use as promotional swag at the Bouchercon 2015 Speed Dating for Authors event on October 8th in Raleigh, NC. How and when did you decide to make the connection between your glasswork and your writing? The glasswork and writing came together as an idea for submitting a cozy proposal to my dream literary agency, BookEnds, LLC. Because I strongly believe in ‘write what you know’ using a glass shop was a natural choice for setting. The Webb’s Glass Shop Mystery Series captured my agent and ultimately a three-book deal with Kensington Books. What made you choose the mystery genre to write in? I discovered mysteries at about age twelve. I raced through the Nancy Drew stories and then began to devour the British golden age authors starting with Agatha Christie, Dorothy L. Sayers, and Nagio Marsh. With well-drawn recurring characters and a cracking plot, I’m still hopelessly hooked on the mystery genre. Right now I’m rereading Cover Her Face by P. D. James. I am an early morning writer. In the dawn hours the words slip into the manuscript with relative ease. Later in the day, I have to hunt them down with pack dogs and stab them to the page. Like Virginia Woolf insisted, I have of room of my own in the form of a small shed in the back yard. Separate from the house with a view of the birdfeeders – it is my perfect writing retreat. Take us through your writing process? Are you a plotter or pantser? My writing process is fairly serial in that I write at least an eight-page synopsis, which I send to both my agent and publisher for approval. That usually results in several revisions to the overall plot and red herring subplots. Then I use Excel to create a detailed outline for every chapter. My spreadsheet addresses the timeline, point-of-view character, location of the scene, events to occur, the goal and its opposition, the outcome, and the sensory details such as weather, aromas, texture, taste, etc. After I’m happy with the outline, I start with page one and write at least 1500 words everyday through to those fabulous two words: THE END! At this point, I let it rest for a few weeks to work on other projects and then I make two or three revision passes correcting inconsistencies, checking for the million times I’ve used the word ‘just’ and final research tasks. My critique group then weighs in for continuity issues, plot holes and character missteps. Finally, it goes to my agent and my editor at Kensington. I was an official Boy Scout Leader on the local council training staff for teaching Scoutmaster Orientation courses. 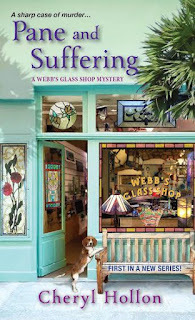 You can read more about Savannah in Pane and Suffering, the first book in the NEW “Webb’s Glass Shop” mystery series, published by Kensington Books. Like the author, I grew up reading mysteries. It has always been my favorite genre. When I was first approached about reading and reviewing this book I was surprise to learn I had so much in common with the author My husband has done some stained glass work and he turns pens. We've both be involved in some of the same things. Then we learned she lives just north of us and her story takes place in St. Petersburg, FL, less than an hour north of us. I loved the way she gives so much information about working with glass. Books like this often lead people to learn more about things like working with glass. My favorite thing about the book is that Savannah must try to unravel the clues left by her father. She has created characters that you come to care about including Suzy, the service dog. It is brought to a satisfying conclusion and gets you ready for the sequel "Shards of Murder" which will be out sometime next year. I have to say that I really enjoyed this and will recommend it to all those who love mysteries. This is an author you want to keep your eye on.